There are many dangers that come from incomplete knowledge, or for that matter, from the lack of experimenting something on your own. Implementing a solution without proper understanding and testing is a sin that most of us developers have committed at some point (knowingly, or unknowingly). One such point is ensuring that a system is protected from SQL injection. As the name suggests, SQL injection refers to the ability of an external attacker to inject a rogue SQL command to the database (e.g. dumping the contents of the database to the user) within a seemingly legitimate request. Allow me to demonstrate what I mean by this. (Please note that the intention of this post is to bust a myth around protecting against SQL injection and is not intended to be a complete guide against SQL injection). –THROW is SQL 2012 specific! The result? All contents of the table Person.Person are dumped out to the user because 1 will always be equal to 1 – something which the system is not supposed to do! This is a simple demonstration of a SQL injection attack. For more such examples, refer the links in the References section of this post. The above is a classic example of SQL injection and one of the most common myths that surrounds SQL Injection is that it is due to the use of EXEC or EXECUTE. Some say – “simply replace EXEC with calls to sp_executesql and the system becomes SQL injection-proof”. This has to be the biggest misconception of all times around this subject. Let’s simply replace EXEC with a call to sp_executesql and we see that SQL injection is still possible. –Try injecting SQL code again – Won’t Work! The conclusion that we can derive from this exercise is that to protect from SQL injection, one of the first things that need to be done is to use sp_executesql with parameterization. Simply replacing EXEC or EXECUTE calls with sp_executesql is not the solution. 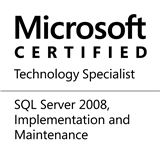 This entry was posted in #SQLServer, Blog, Imported from BeyondRelational and tagged #SQLServer on October 8, 2012 by nakulvachhrajani. You beat me to it, Marc. I can unserstand that sometimes Dynamic SQL must be used, but this isn’t one of them. Still, hats off to Nakul for demonstrating that just changing EXEC to EXEC sp_executesql is not sufficient to prevent SQL Injection. He did say that this is “one of the solutions”. Thank-you, Marc & Jeff for your feedback. Yes, I tried to make the concept simple enough for all to understand, but perhaps I over-simplified things a bit. A comment has now been introduced warning readers about this. Thank-you, Jeff for the encouraging words in recognizing my efforts to bring some awareness around the methods to prevent SQL injection. Once again, thank-you very much for taking the time out, reading my posts and sharing your thoughts about them! Parameterization helps, but not all dynamic code can be parameterized. I find it’s also important to mention QUOTENAME() for when it can’t be – especially if it’s the table names that are dynamic.